I just found out that I am a nominee and finalist for the 2010 Gala Awards! 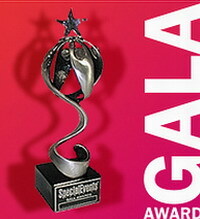 This is the most prestigious award in the special events industry and I am so honored! The actual ceremony is not until the end of January, but wanted to share this EXTREMELY exciting news! !